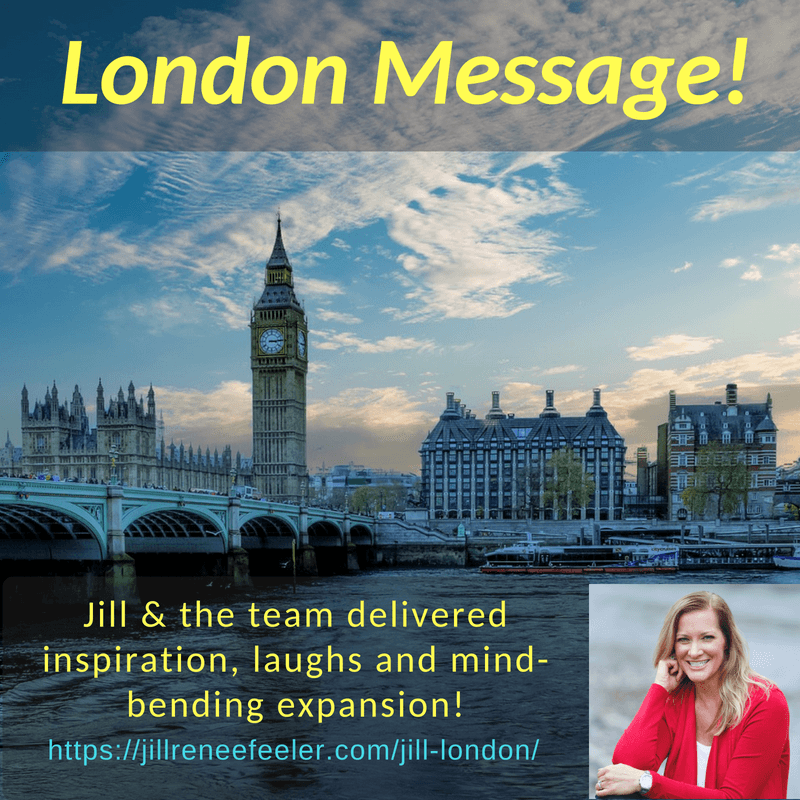 Jill & the Team’s London Message!!! Please join me for this message of channeled messages, inspiration, divine wisdom, and humor, shared live in London with a very special group of soul brothers and sisters… fellow pioneers. Purchase HERE and receive immediate access to the recordings. Deep, cosmic twists for mind-bending experiences to stretch your consciousness, and let in more light. From the inside out. About Jill: Jill realized her unique spiritual connection to Source Creator God in 2009 at the age of 39 amidst a successful career in business and knowing herself as a blessed wife and mother. She didn’t come into her gifts through studying consciousness nor spirituality, allowing her to bring a truly fresh and sometimes radical perspective to her teachings and advice. She often contradicts others sacred truths, yet always for the purpose of allowing her audience to more personally feel the eternal light of God that is within all life, even while we are human. She is opposed to the notion that we need to learn, earn, study, practice or even understand the eternal light of Source that we Are, even while we are human. Jill is deeply passionate about assisting others in feeling and trusting a personal connection to God, naturally and alongside all the other ways that we are human. Potential Question: The event title seems a little boring? I actually agree but if I title it “How to Know you Are Eternal Light when you are feeling trapped on a strange planet called Earth” I don’t know who would come… or would the group attracted to that title be better ? Lol I don’t know but I have learned that a) I’m not so great at titling my work and b) what actually happens is far far yummier than my title can ever begin to describe and c) I hope you just purchase and trust your Higher Self that we plan to absolutely knock your socks off!